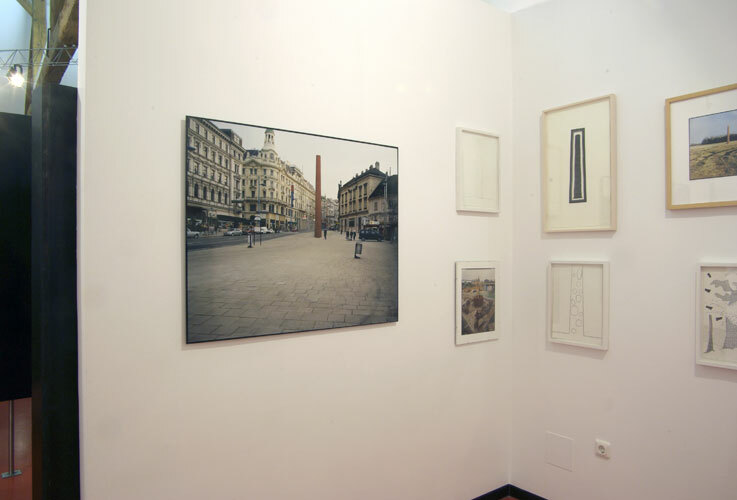 "Schornsteinkünstler  Stadt, Wald, Feld, Park, Fluss"
one of four installation views from the one man exhibition at Museum für Baukultur Neutal, in Neutal, Austria. This museum is specialized in the history of chimneys, "real" industrial chimneys. The area around Neutal has a 150 year long tradition of expertise in chimney building. There was a catalogue made for the exhibition.